There were a few interesting things I picked up in Sin City, like being robbed and the experience of having a potential terrorist thrown off of our plane. But the most important thing to me was the one thing I didn’t pick up. I didn’t pick up sin in Sin City. I was in Las Vegas with my daughter, and we had a blast for her 26th birthday, but neither of us changed into cast members of Hangover 1,2, or 3. I didn’t pick up any gaming, gambling or drinking expertise, nor did I pick up the delusion that I ever could. I will never hang with the professionals. I am and always will be naive and trusting, as the robbing experience, taught me: wherever I go, there I am. You can dress me in sequins and serve me Everclear alcohol, but I’m still a nerdy, spiritualist looking for…more. I’m probably always going to be naïve and trusting, because to me, it’s preferable to the alternative, and let’s face it, it is just who I am. 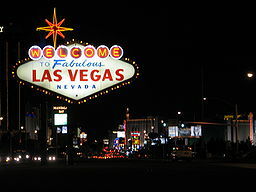 I’ve avoided Vegas for years because of the appellation, “Sin City.” The word sin to me calls shame to mind. That was who I used to be, susceptible to names, approval, and judgments. But, I’ve recovered from my religion and now know that shame is a mantle I choose to put on or to allow others to place upon me. Wherever I go,there I am. If I have self- esteem and a solid spiritual life, no amount of chaos, debauchery, glitter and neon can change who I am or how I perceive myself. Obviously, I am not speaking of addictions: to gambling, alcohol or anything else. But, if I am in tune with and walking in my spirit, there is beauty in anything: glitter, neon, a miniature Venice, Paris, or New York.I can receive the gift of inspiration from literally anything. Las Vegas is my circumstances. The power I let them have over me is completely up to me. 1. Winnings of eleven bucks! A new favorite drink: the Slingback. Cool, crisp and tart grapefruit juice, lemon liquor, lime juice and gin. The beautiful gift of a wonderful experience shared with my daughter before she graduates from college and moves on to the next step in her life, one step further from her parents. I will treasure the beauty of this experience for as long as I am around. I got to see a different side of her, how mature and gracious she is no matter where she is. I joyously saw that at her young age, she does not have shame in her vocabulary. but I don’t regret taking her home. Though older, she is timeless. no matter where she’s been or is going or for how long. for so many important things. when it is necessary, without ambivalence, existentialism or angst. I don’t have to explain the itinerary in advance. I can show up, turn the key, and trust I am on the right journey and that I will get there. She is not resistant to being seen, noticed, talked about or to leaving when it is time. She’s ok with being red: it was how she was made and what she was made for. When things are closing in, she reminds me to focus on what is good, fun and and to just keep moving. unadulterated, unqualified, unjustified, yet sanctified. Joy has no price tag.